The ACT is the only state or territory where stamp duty has fallen as a proportion of home prices. Photo by Glynis Quinlan. The ACT is the only Australian jurisdiction where stamp duty has fallen as a proportion of the median dwelling price of a home according to a national report by the Housing Industry Association released this week. However due to the city’s high house prices, a typical Canberra home buyer will still pay $18,100 in stamp duty in real dollar terms – the fourth highest amount in Australia. The HIA Stamp Duty Watch report also predicts that stamp duty on a median-priced home in the ACT can add around $1,100 per year to a mortgage. HIA ACT & Southern NSW Executive Director Greg Weller said that across Australia more than $20 billion was collected in stamp duty in 2015/16 – making up 26.1 per cent of total tax revenue. “Only two jurisdictions went against this trend between 2011/12 and 2015/16, being the ACT and NT, with the ACT falling from 20.2 per cent to 18.2 per cent [in total tax revenue],” Mr Weller said. Mr Weller said the ACT is the only state or territory where stamp duty has fallen as a proportion of the median dwelling price, from 3.6 per cent in 1992 to 2.9 per cent in 2017. By contrast, the typical stamp duty bill in Victoria increased from 1.9 per cent to 5.2 per cent of the median dwelling price between 1982 and 2017 while the stamp duty burden for NSW home buyers rose from 1.6 per cent to 3.8 per cent over the same period. “The decision by the ACT Government to phase out stamp duty has been the primary factor setting us aside from other jurisdictions, as the Territory is weaned off this inefficient tax,” Mr Weller said. The HIA claims that stamp duty is a central pillar of the housing affordability crisis and that state governments are increasingly reliant on rising stamp duty revenues. “As we know, stamp duty is an inefficient tax that risks distorting economic decisions,” Mr Weller said. “By taxing the purchase of a home, it can discourage people moving to take up job opportunities and may also mean that our housing stock is not being utilised as efficiently as it could be. “If it was cheaper to turnover homes, then more of the community could be in the dwelling that suits their needs,” he said. Stamp Duty Watch examines the latest developments in stamp duty on home purchases in each of the states and territories. 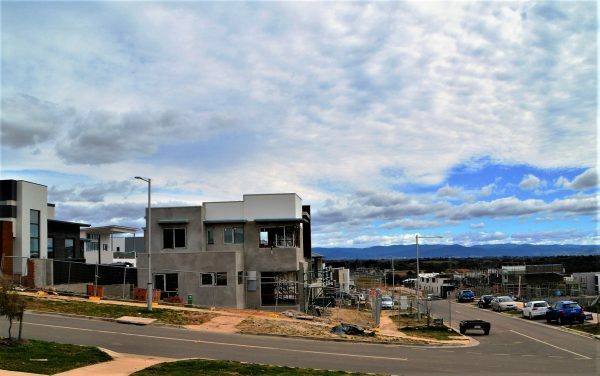 Do you think the ACT Government’s decision to phase out stamp duty is a good idea or do you think it will place too much of a burden on ratepayers? Let us know your thoughts in the comments below. I think that stamp duty for first home owners should have been abolished years ago so I’m glad to see that it’s finally happening. I was never sure why the government gave first home owner grants but then took it off them straight away with high stamp duty..seemed ridiculous bureaucracy. However, those same first home owners will now be stuck with higher rates, maybe a growing family and a need for someone to reduce their income to look after the small children… so they will struggle more once in their new home. hmm I also totally disagree with rates formula being progressive, like income tax. Unlike income increases, an increase in your land value of the house you live in does not create any more cash to pay for the increases in rates der! And it is not a true reflection of someones wealth as it doesn’t take into account any real wealth measures such as someone’s income, mortgage size, depended numbers etc. The government should not assume that someone in an older suburb with higher land values in wealthier than someone living in a lower land value area who maybe as no mortgage and no family to look after. When rates were similar in size to an electricity or gas bill it was just another cost of living and small rises didn’t really matter. But now with several older suburb rates in the $5000-$10000 per annum range and many more getting ridiculous every year they have become a significant burden for someone on low and average income. This means that middle and lower income earners are forced out and the rich move in.. Your rate increase have now gone to far Mr Barr!! I think that stamp duty for first home owners should have been abolished years ago so I’m glad to see that it’s finally happening. I was never sure why the government gave first home owner grants but then took it off them straight away with high stamp duty..seemed ridiculous bureaucracy. However, those same first home owners will now be stuck with higher rates, maybe a growing family and a need for someone to reduce their income to look after the small children… so they will still struggle more once in their new home. hmm I also totally disagree with rates formula being progressive, like income tax. Unlike income increases, an increase in your land value of the house you live in does not create any more cash to pay for the increases in rates der! And it is not a true reflection of someones wealth as it doesn’t take into account any real wealth measures such as someones income, mortgage size, depended numbers etc. The government should not assume that someone in an older suburb with higher land values in wealthier than someone living in a lower land value area who maybe as no mortgage and no family to look after. When rates were similar in size to an electricity or gas bill it was just another cost of living. But now with several older suburb rates in the $5000-$10000 per annum range they have become a significant burden for someone on low and average income. This means that middle and lower income earners are forced out and the rich move in.. Your rate increase have now gone to far Mr Barr!! The land value of a home is a pretty good reflection of the value of that asset though, so the correlation with high land values and wealth is very strong. You aren’t forced to live on an expensive block and part of the rationale behind the switch is to make moving easier so that expensive land is used more efficiently and poorer people aren’t pushed out in to the boondocks whilst wealthy inner city land owners sit on their massive land plots, making huge gains. This change then results in a reduction in housing affordability problems because there is a wider selection of housing stock available at different price points across the city. I find it a bit hard to feel sorry for “lower and middle income earners” who have an asset usually worth upwards of a million dollars. An asset whose value has increased markedly not through anything the owner has done but because of government policies and tax treatment of the area over the last few decades. This further entrenches disadvantage against Canberra’s poorest 20% of homeowners and helps richer people reduce stamp duty when they buy bigger houses and investors by their second, third, fourth house etc. The ACT Government Rates and Stamp Duty model has flaws in its speedy transition, calculation percent levels, base charges and threshold level’s. And the model is hurting our poorest homeowners in the outer suburbs and benefitting the richest homeowners in areas with high value property growth. I’m OK with a slow and sliding switch from Stamp Duty to Annual Rates, but it shouldn’t be to the detriment of a struggling homeowner in Kambah or Charnwood or a Unit owner in Holt or Richardson who have seen Unit values drop and charges double. I mean how can a Unit in a large complex in Holt pay more in Rates than a trendy Unit in a small Kingston development. Hope to buy down there sometime this year. Pity it won’t be phased out by then. Of course land tax is the most economically pure method of collecting revenue. Trouble is, if your long term fiscal outcome is wretched as the very least, the amount you need to levy to meet your outgoings will eventually exceed the capacity to pay. Wonder why there is no 20 year ACT financial Outlook published? Any suggestions for govt revenue otherwise. No coal or minerals to dig out of the ground like other states and territory. So you get $18K worth of stamps then? Not these days but yes in the past (and other countries) you did get stamps when paying stamp duty. Not postage stamps of course. Six years into Labor’s plans to abolish stamp duty how is it going? Still charging heaps in stamp duty and what has happened to everyone’s rates in that time? What are "real" dollar terms? What other sort of dollars are there, monopoly dollars? "Real" dollars are those that have taken account of inflation. For example $20 of goods and services in 1970 is with inflation cost $223 in today's money. It's $20 real dollars and $223 actual dollars. Hardly surprising as the ACT has a policy of gradually reducing Stamp Duty and raising rates instead. Except the rate increase is significant compared to the stamp duty drop. I agree with Ian Don, it is so unfair to those of us that have paid high stamp duty and now face exorbitant rate rises. We should not have to pay the rises. 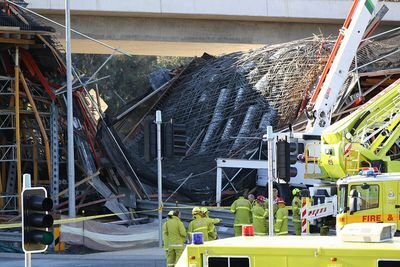 I moved from Canberra to Adelaide a couple of years ago. SA government were considering similar policy but public backlash was huge. Policy now officially off the table.